Because Cloudrun is web-based, you can run custom high resolution weather forecasts from anywhere. No supercomputer access required. With our Forecast Wizard, you simply choose a region and timeframe that you are interested in. Our system takes care of everything else under the hood and creates an optimal model configuration for your region and timeframe. No meteorology or weather modeling experience is necessary. Forecasts starting at $9 per forecast day, pro-rated to the hour. No membership fees or minimums. Just run the forecasts that you need. See our pricing page for more information. Output data files are generated on-the-fly as your forecast is running. Detailed, animated weather plots will be available soon! 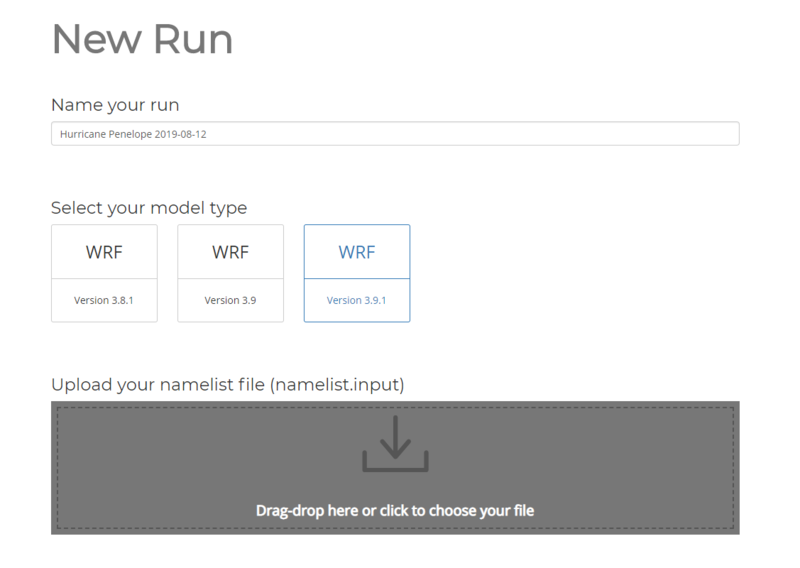 Meteorologists, students, and weather enthusiasts can use the Upload Inputs page to run WRF with their existing input files. 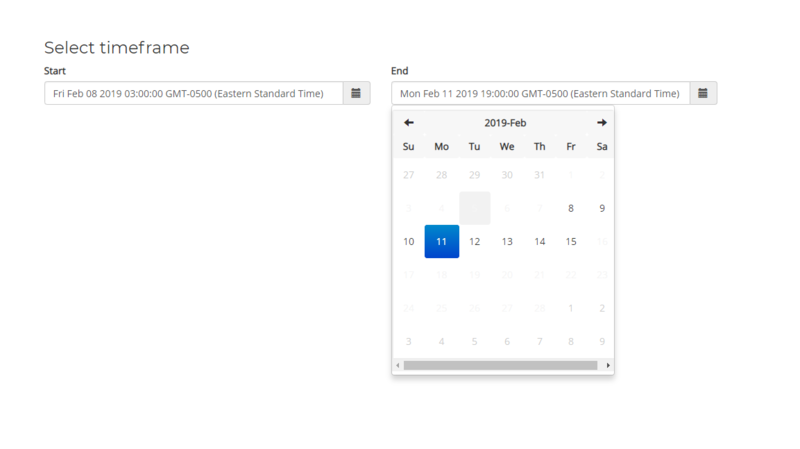 We're constantly working on improving and optimizing Cloudrun's forecasting system. Combined with high-end hardware, this fine-tuned efficiency lets us offer $9 per forecast day pricing, and means your forecasts will finish surprisingly quickly. Cloudrun employs a swarm of scalable and parallel compute nodes. Unlike shared supercomputers, we don't limit how many forecasts you can make at a time. Unlike on shared supercomputers, with Cloudrun you never need to wait for your forecasts to start. From the moment you click "Start Forecast", it typically takes a minute for it to start. Have an issue setting up and configuring your forecast? We got your back! Cloudrun's team has a decade-long experience developing and working with weather models and cloud computing. Have a question? Don't hesitate to contact us anytime.